Even though my kids are getting older, vegetables — especially green vegetables — aren’t always an easy sell. 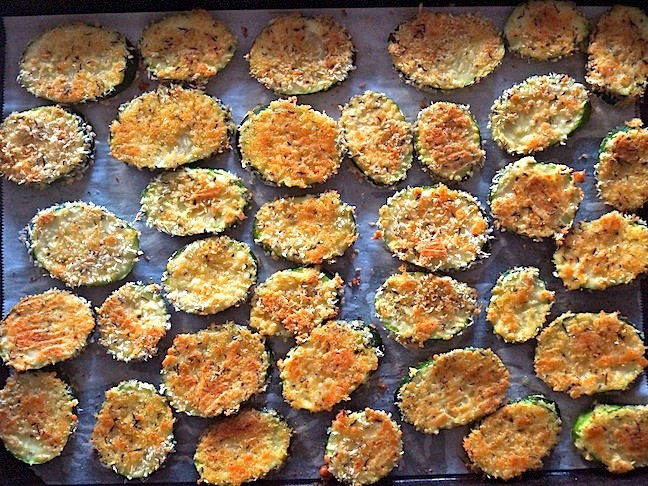 Unless, of course, I’m making these super addictive zucchini chips! 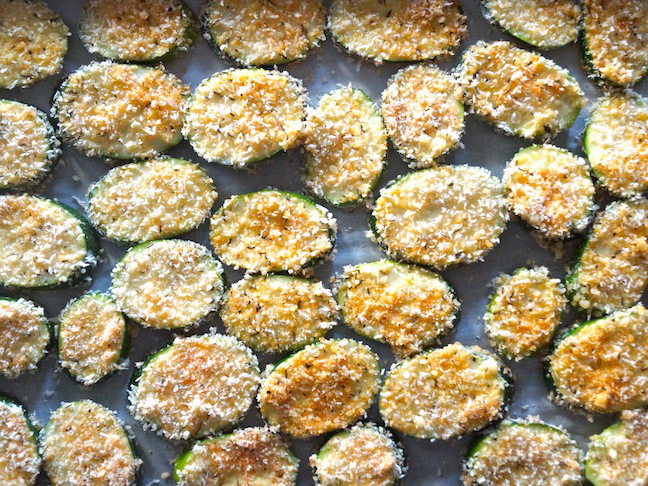 Coated lightly with breadcrumbs, Parmesan, and flavorful herbs and spices, they’re a huge hit (and healthier than fried zucchini). My 10-year-old son actually requests them for his after-school-snack. Success! While they’re delicious with the Lemon Yogurt dip, if you want to save time, you can also serve them with ranch dressing or any dipping sauce you like. 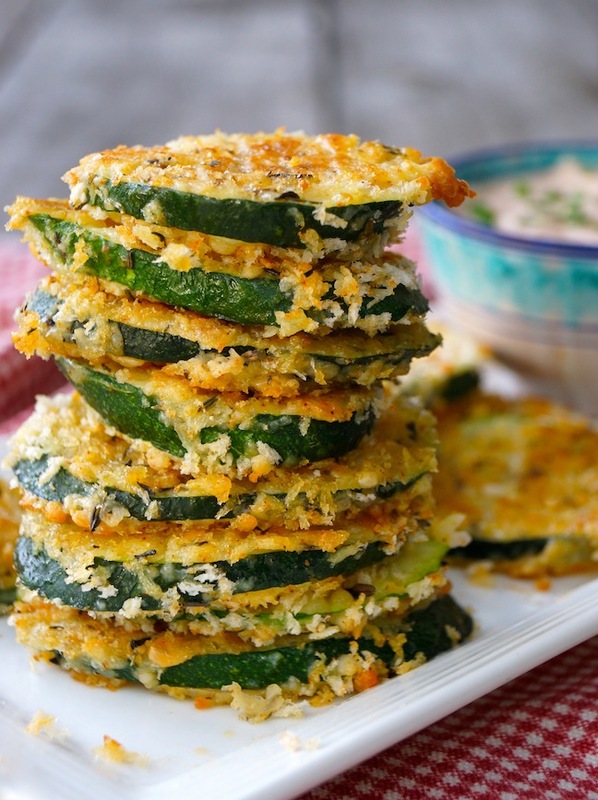 Green veggies aren't always an easy sell -- unless you serve up this super addictive snack. 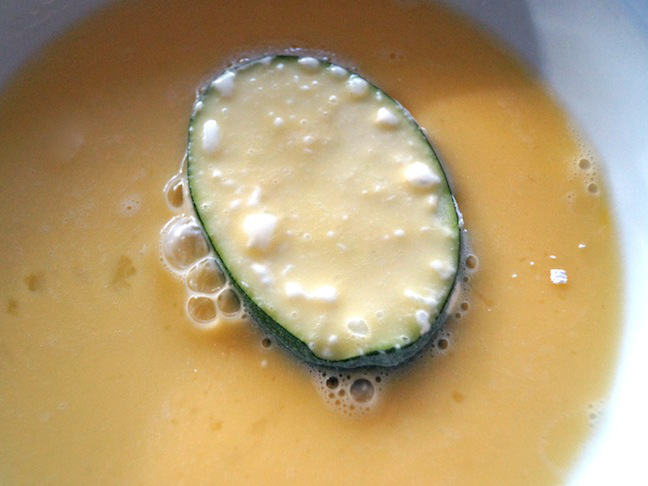 Step 1: Mix the yogurt, lemon juice, honey, paprika, cayenne and salt together in a small bowl. Set aside in the refrigerator until you are ready to serve. Step 2: Preheat the oven to 400 degrees F and adjust a rack to the center. 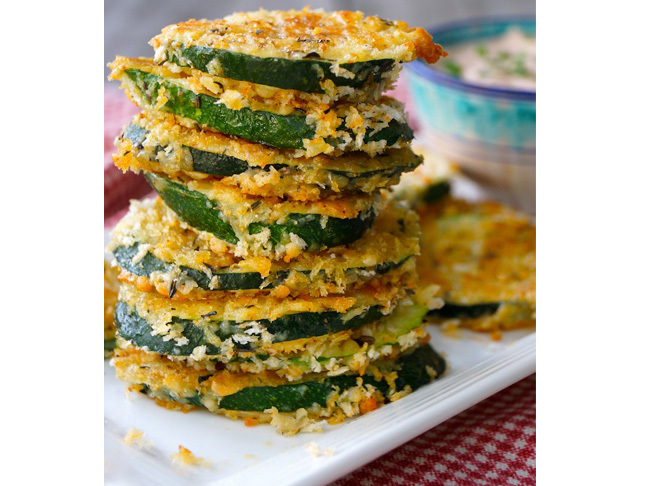 Step 3: Slice the zucchini into rounds, ⅛ to ¼-inch thick, at a slightly diagonal angle. You should have approximately 40 slices. 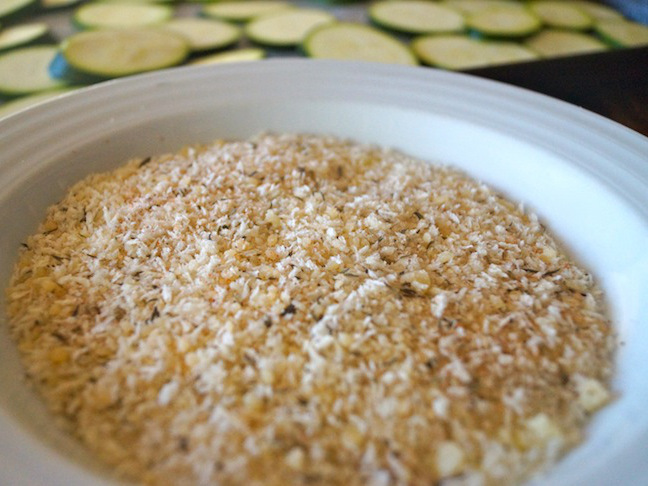 Step 4: In a medium-sized shallow bowl, combine the panko with the Parmesan, salt, garlic powder, paprika and thyme. Set aside. Step 5: In another shallow bowl, whisk the eggs until they're well blended. And in a third shallow bowl, add the flour. Set the three bowls next to each other on the counter. Step 6: Line a baking sheet with parchment paper. 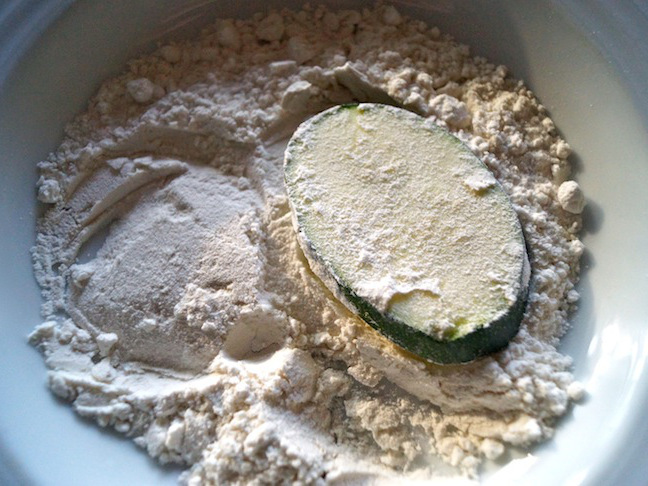 Lightly coat each zucchini slice with flour. 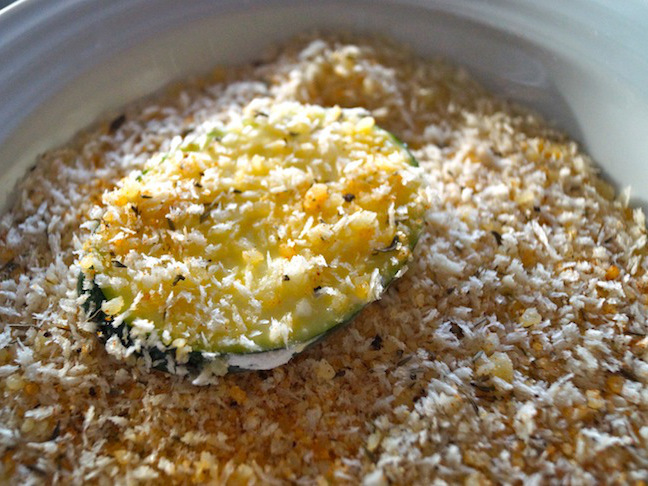 Step 7: Immediately dip the flour-coated zucchini slice into the egg. Step 8: Then immediately dip it into the panko-Parmesan mixture, being sure both sides are lightly coated. 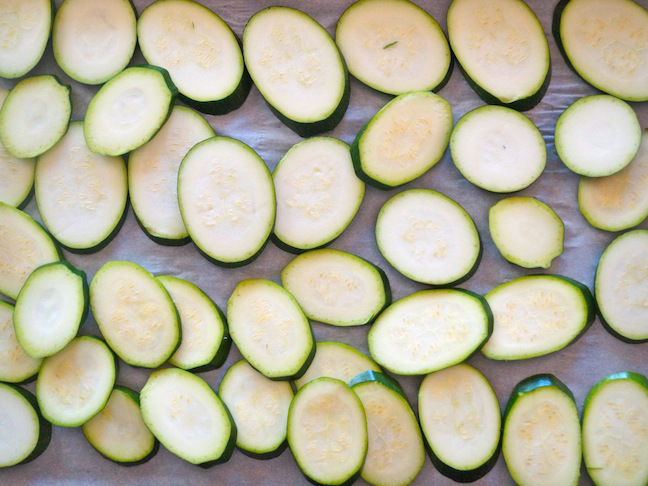 Step 9: Place the prepared zucchini slices on the parchment-lined baking sheet as you work. Step 10: Bake in the preheated 400 degree F oven until golden, about 20 minutes. Flip them over gently half way through the cooking time. Serve while hot or warm with the dip. Recipe Notes: You can easily make a gluten-free version of this. 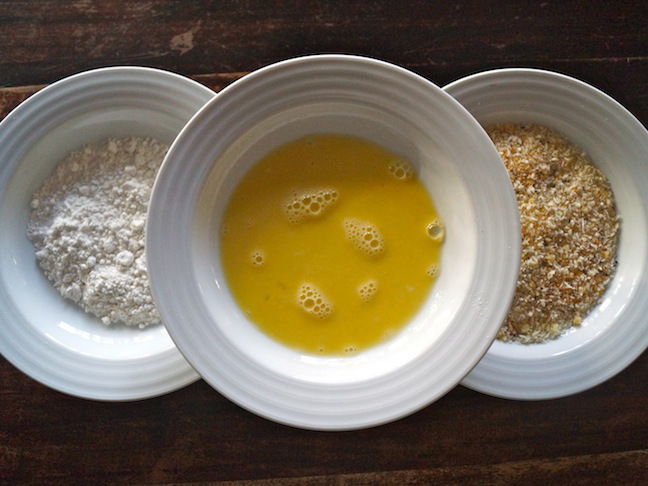 Simply use gluten-free breadcrumbs and gluten-free all-purpose flour. It's just as good!